While doing research for this article, I ran across an amazing number of stories, some true, some pure myth, about rattlesnakes or “rattlers,” as they are sometimes called. One old timer personally told me the following story as the gospel truth, but I have since found versions of it that were collected both in the Southern Appalachians, and in Western Europe. It seemed that a Civil War soldier’s boots were jinxed. He died not in battle, but contracted a mysterious disease and quickly passed away. When his son got old enough, he proudly wore his father’s old boots, and he too contracted a strange illness and died. In fact, anyone who ever wore those boots soon came down with a mysterious illness and soon passed away. Finally, a mortician closely inspected the boots and found out why they were jinxed. Protruding up through the sole of one of the boots was the fang of a large rattlesnake which had died many years before, but his venom was still lethal. As I perused the literature of rattlesnakes, I found that rattlesnakes are thought to be a sure cure for a variety of ailments. One source said that rattlesnake “salt” was a sure cure for “hysteria, excessive wrath, mental illness, symptoms of insanity, uncontrollable tremors, phobias, delusions of grandeur, feelings of worthlessness, fantasies of persecution, and diabolical possession.” In Kentucky, a belt made of rattlesnake skin was said to cure rheumatism. If you were unlucky enough to have tuberculosis, a common cure was to cut off the head of a rattlesnake and put it in a bottle of rum, and drink it two or three times a day. Not only have rattlesnakes been considered good for what ails you, but in Texas, they’ve been used to foretell the weather. If a dead snake is tossed in the air and lands on the ground with its back up, rain is on the way. On the other hand, if it lands with its belly up, dry weather will continue. If you’re being chased by witches, be sure to sew pieces of rattlesnake skin to your clothing, which is guaranteed to drive them away. Rattlesnakes were an important part of Native American mythology and were commonly used for healing. In addition to the idea that the rattles would facilitate childbirth, there was the common belief that rattles would pacify teething children. They were placed in a bag and hung around the neck, or worn as a necklace. Sometimes a child was allowed to chew on them. One story claimed that for this to work, there must be at least three rattles, and the cord around the child’s neck must be red. Rattles were also used to prevent fits and convulsions. One Native American legend tells of an Indian who trained a band of rattlers to join him in song. By using their rattles the snakes were able to carry four harmony parts – soprano, alto, tenor and bass. Strong beliefs about the magical powers of rattlesnakes were widespread in 19th and early 20th century America. while that person is near you. ●If you kill a rattler, keep the rattles for a good luck charm. always see a rattler before he sees you. that you wear over your heart. rattlers away and act as a charm against a rattlesnake bite. Stories and songs of snakes and children have always made the heart to throb and the eyes to moisten. 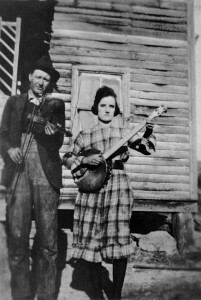 An example of this is the fiddle tune “Rattlesnake Bit the Baby.” And let’s not forget Bill Monroe’s composition “The Little Girl and The Dreadful Snake.” Actually, Bill Monroe himself kept a large rattlesnake inside his Loar mandolin. Here’s a particularly heart-wrenching variation of an ancient story of a little girl and a snake. There was once a little girl who befriended a snake. Every day she carried her lunch out in the yard to eat. Finally, the curiosity of her parents was aroused, and they followed her and watched her sit down to enjoy her bowl of bread and milk. All of a sudden, a huge rattlesnake slithered out from the grass and coiled beside her, to be fed bread and milk from her spoon. The horrified parents killed the snake with the result that the heartbroken child, pining for her dead playmate, became disconsolate and soon died. Rattlesnakes also made great fodder for tall tales. One such tale is of a miner who kept a large rattler as a pet. 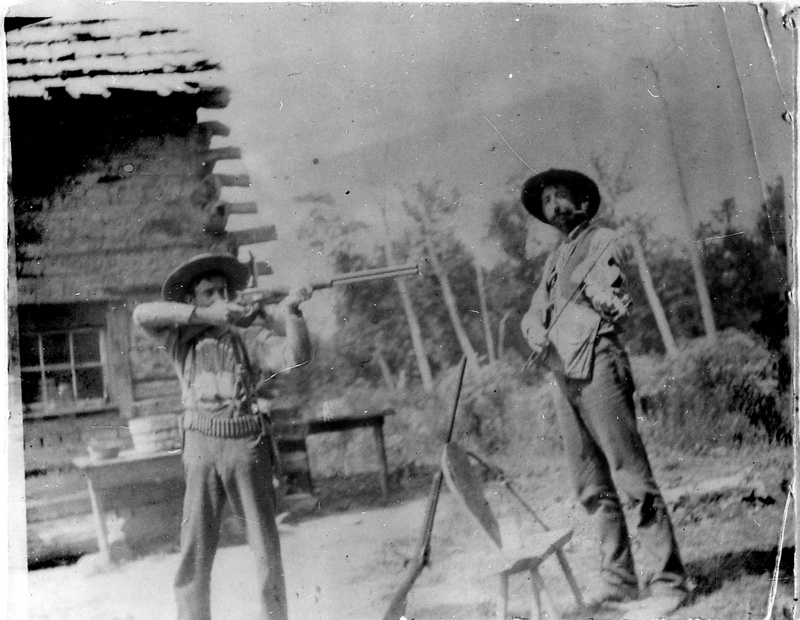 One night a burglar snuck into the miner’s cabin to steal his gold. Wanting to protect his master’s booty, the rattler bound the burglar to a bedpost with its coils and hung its tail out the window to rattle for the police. Then there was a hunter who saved the life of a large rattler, which then became his constant companion. When the hunter accidentally fell on a train track just as the locomotive was about to run over him, the snake pulled the hunter’s red bandana out of his pocket and waved down the train. One farmer built a fence consisting of five hundred posts that he drove into the ground with a sledgehammer. When it warmed up, the posts proved to be rattlers who crawled off, dragging two miles of barbed wire behind them. And then there was the family in Texas with nine children. Only one of the nine had never been bitten by a rattler and that one child developed an inferiority complex. Even for the superstitious-minded, not even the presence of a rattlesnake rattle was strong enough medicine to keep old Satan at bay. One Florida fiddler’s wife stubbornly refused to allow the fiddle inside the house because it would be like inviting the Devil for supper. Instead, he had to hang his fiddle on a wall of the barn where mud-daubers, wasps and mice would build their nests inside his fiddle. But if the farmer kept a rattlesnake rattle inside his fiddle, the scent would usually scare away all but the most persistent pests. 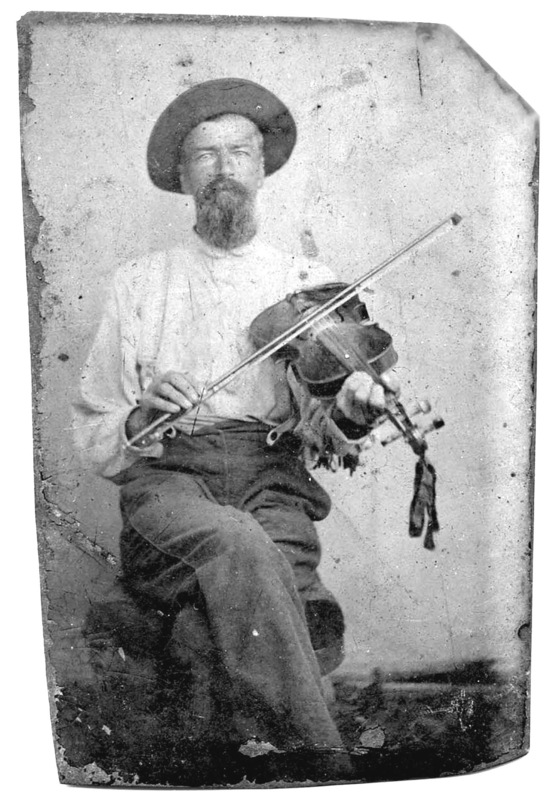 Besides driving off pests, vermin, and the Devil himself, fiddlers have had far less sinister reasons for keeping a rattlesnake rattle inside their instruments. 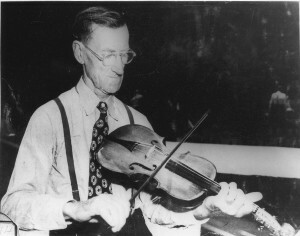 Many have suggested it gave the fiddle a sweeter tone, or that it gave them good luck. 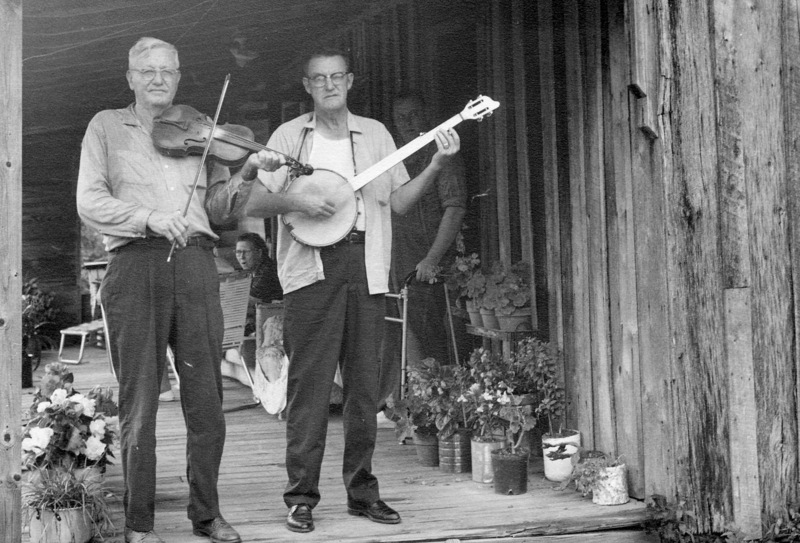 Bill Monroe, the legendary mandolin player, kept a large rattle inside his precious Lloyd Loar mandolin. I’ve also heard of a Brazilian guitarist who strongly believed that a rattle inside his guitar not only made it sound better, but it improved his singing too. In the early ‘eighties I asked legendary fiddler Tommy Jarrell why he put a rattlesnake in his fiddle. 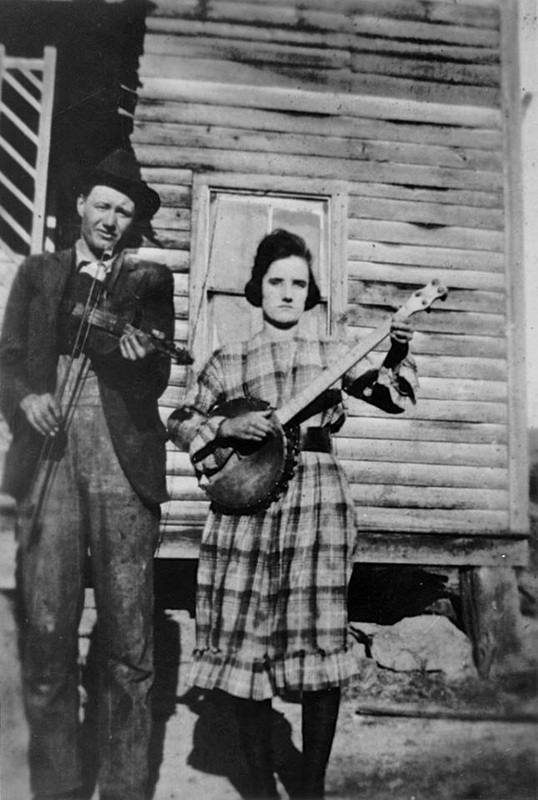 He explained that when he was growing up in North Carolina, nobody had a case for their fiddle. Instead, they carried their instruments around in an old flour sack. At home they usually hung their fiddle on the wall where spiders liked to build their web inside the fiddle, hoping to trap a tasty treat. It was said that a rattle inside the fiddle would scare away spiders because of the snake scent of the rattle. When the fiddler would play his fiddle, the rattle would move around, and tear up the web. 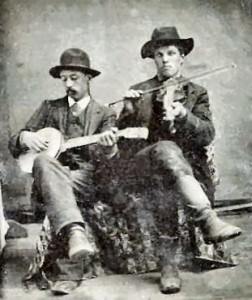 Some old fiddlers have claimed that when they played their fiddles the rattles “sang along” with the tune, giving it sweeter tone. A North Carolina fiddler claimed that his grandfather told him that the fiddle used to be a woman’s instrument and that adding a rattle to the instrument made it more masculine. One of the more practical reasons some fiddlers carry a rattle inside their instrument is to help keep the moisture out of their fiddles. I read one myth that said a swimming rattler always held its rattle high to keep it dry, so that’s why some fiddlers thought it would keep their fiddles dry. In California, it was thought that a rattle tied to a banjo head will help preserve the skin. Many southern fiddlers strongly believe that a rattlesnake in their fiddles give them more mojo when they compete at a fiddler’s convention. Fiddler Martin Fox has said that he always shakes his fiddle before getting on stage at a fiddle contest to wake up the rattle so it will release its magical mojo. Some years ago while in a recording session, the engineer complained about a strange sound coming out of my fiddle. We had to put the session on hold while we investigated. It turned out that the rattle inside my fiddle that was “singing along” as I played. After I removed the rattle, the rest of the session went smoothly, but who knows how much mojo was lost when the rattle was removed? ex-baptist minister jerry dewitt once posed the question: “after freeing yourself from religious tradition and superstition, what’s next?” i said “i’ll have a beer, thanks” and promptly removed the rattlesnake rattle i’d placed in my mandolin years earlier.